Why get rid of keys? Access control gives you control over who gains entry to your building. Keys also do this – so what is the difference? When you lose a key, you have the expense and inconvenience of replacing locks and all the other keys, or you accept the building is no longer secure. With access control you simply void an individual passcard or fob from the system. There is no need to replace locks or keys. Access control is quite literally about controlling access to your premises, or a specific area of your premises. Instead of out-dated lock and key methods, access control secures your building electronically. With passcards/fobs and readers instead of locks and keys; you say who can have access, when they have access and where exactly they can have access to. 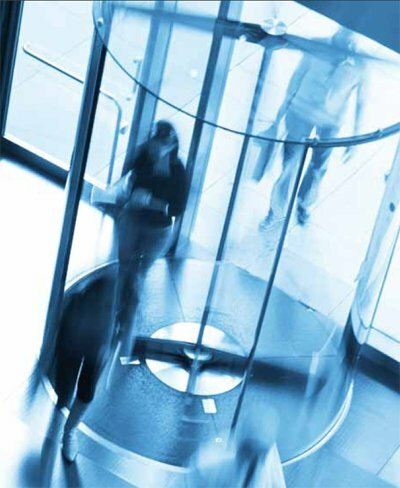 EA Group understand that access control does not need to be complicated. Our access control systems are professional in every aspect but are also really easy to use. 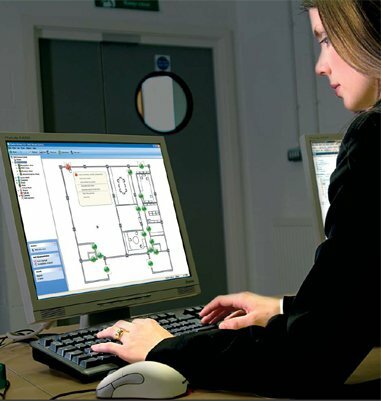 Our access control systems are so user friendly; they require minimal training to run and are designed to make life as easy as possible for you. They are so convenient, you will wonder why you ever used anything else before. Huge bunches of keys are common for some sites, but if the keys get lost imagine how many locks would need replacing to make your site secure again. The cost implications are huge. With access control, each staff member, or visitor, is issued with one passcard or fob to gain access through any door, gate or barrier. They simply present their token at a reader and access is permitted or denied, as appropriate. There is no need to change locks if someone loses their passcard or fob. This gives you total confidence that your premises stay secure, something that is just not possible with a lock and key system. The security and safety of your staff and assets is serious business. No one wants to think that staff are at risk while at work and there is no better way to protect them than with an intelligent, reliable, access control system. Should an incident or a crime take place on your premises, your access control system allows you to isolate certain areas and even track who was in a particular area at the time. individuals. You can even give users access rights specifically for certain times of the day or night. This gives you control over the security of your site around the clock and means you do not need to spend money on night-time security. You can rest assured that your premises are protected, even outside of normal working hours. If you like the sound of an access control so far but would like to do more with your system, choosing PC based access control will give you even greater benefits. 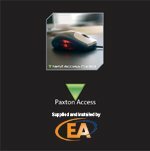 EA Group can install Paxton management software that is designed to be simple and recognisable. Administrators can be and often are fully competent and confident in using the software with less than two hours of training because of how intuitive the system is. If you are considering an access control system, please get in touch and tell us your requirements or what it is that you wish to achieve. We would relish the opportunity to assist you with your project and carry out a free site survey. In the meantime, please download a brochure by clicking below.